Summer vacation is here and we're so ready! It was really hard saying goodbye to the teachers this afternoon, even harder than I thought it would be. As often as we move and have to say goodbye to people, it truly doesn't ever get easier. The flowers were pretty but couldn't come close to showing how grateful we are to the teachers that cared so much for our son this year! 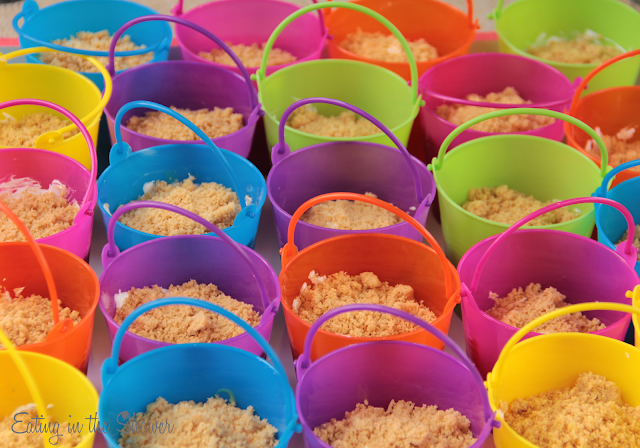 For the school picnic I made the kids' desserts and had fun making these very simple 'sand' buckets. 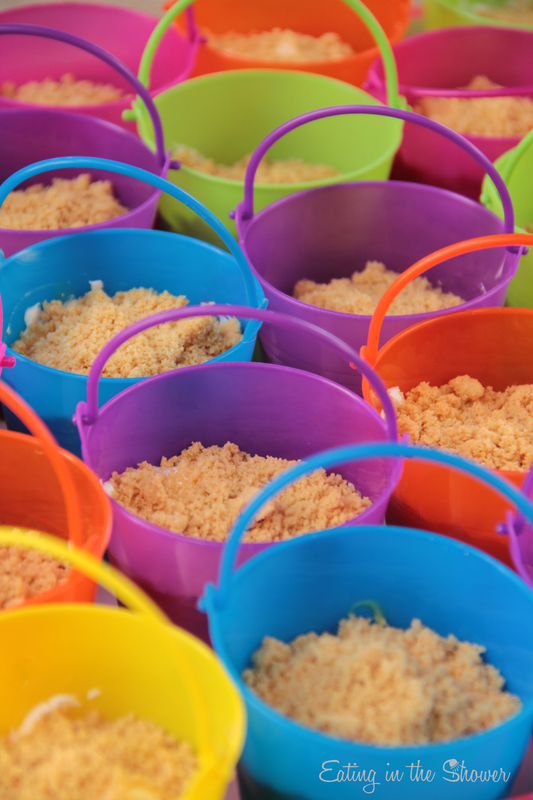 The kids were excited to eat the sand and I will definitely make these again this summer for parties. 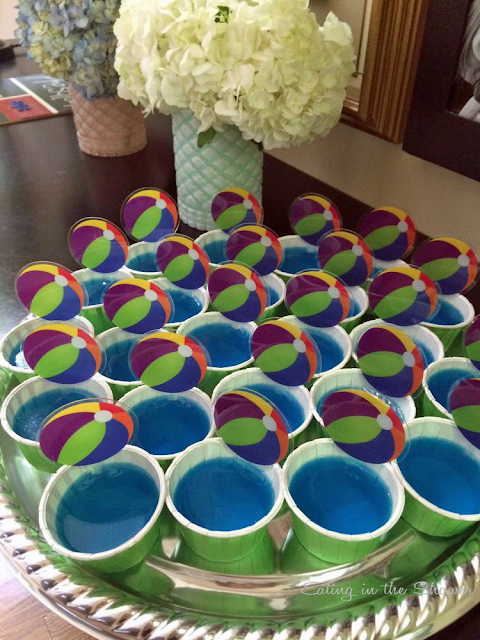 For a non-dairy option I also made some little blue jello 'pools' with beachball cupcake toppers stuck in them. Unfortunately for all of the parents, most kids tried both and ate the other desserts at the party as well. I have a headache from all of the sugar. In the fall, I made this sign with the idea that I could reuse it on the last day and I'm happy that I actually remembered to do it! 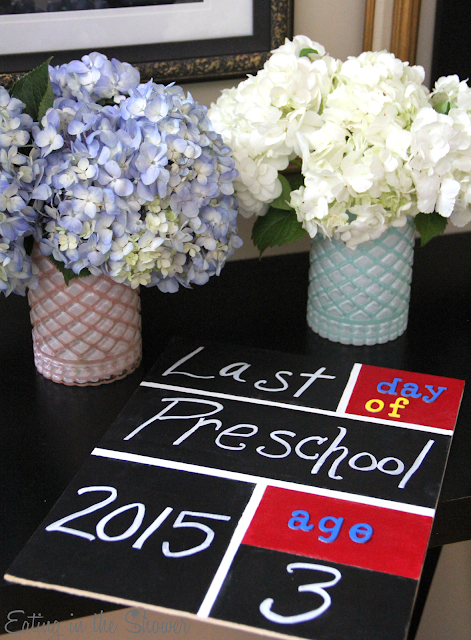 Here is the photo from the first day of school in August. And here is a photo from today with the new year and the word First changed to Last. He wanted to hold it in front of his head after it made me laugh but I did get a few pictures that show just how much his face has changed from baby to boy. School life is no dount the best time of this busy and difficult life. The sudents just have work to read https://www.assignmentgeek.com.au/discounts/ site blogs and then play for the whole day. There was no worry or anxiety at that time. i really missed my school days. We fundamentally honest other than when we are at the workplace. The fundamental witticism of this blog can be hard to see yet we can fit this on writing reviews work. I am extremely exceptionally inspired by this blog. it is on the grounds that this blog is ideal.